Netflix has dropped a second teaser trailer for Season 2 of Iron Fist. 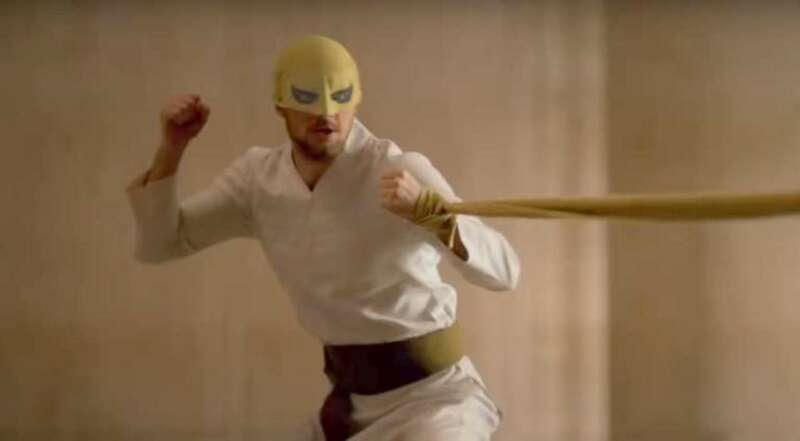 This time, we see Danny Rand wearing something a lot closer to the classic Iron Fist costume. The trailer seems to comprise one of the clips that was shown at Comic-Con, with Danny and Davos facing off against each other in a flashback scene. The two are both wearing the classic yellow Iron Fist mask, in a fight scene where the pair are presumably fighting for the right to face Shou Lao. It looks like the show will be leaning into that history between the two characters as Davos becomes the season’s main antagonist – something that showrunner Scott Buck seemed hesitant to show in the previous season, for some unknown and ridiculous reason. Fans will also be glad to see that new showrunner Raven Metzner is planning to show us a lot more of Kun Lun than what Buck was willing to previously. All in all, it’s a solid teaser that suggests Iron Fist Season 2 will be giving fans a lot more of what they wanted from the first season. We should be getting a full trailer some time in the next few weeks, before the season debuts on 7 September 2018. Stay tuned to MNN for more updates on Iron Fist Season 2.